Despite a protest over their start in today’s second race that might have cost them the top spot, Rob Gray and Sam Laidlaw’s Farr 52 Bob won IRC 1 by a comfortable four points, the biggest boat in the RORC Easter Challenge fleet benefitting from clear air in the light winds. 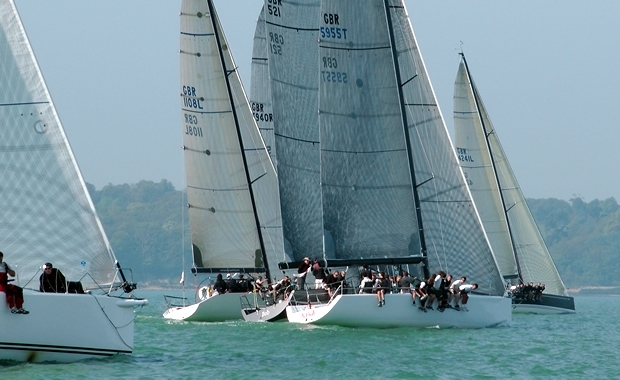 Mark Devereux’s Club Swan 42 Brevity slipped into third today after the British Keelboat Academy Farr 45 Kolga was OCS in today’s second race. Kolga has British Keelboat Academy crew with RYA Youth Match Racing National Champion Mark Lees, 19, steering. The scorers also had to resort to countback in IRC3 where Chris and Hannah Neve’s First 35 No Chance was pipped at the post by Louise Morton’s MAT 1010 - their two wins today gaining the all-female crew (apart from Volvo Ocean Race winner navigator Jules Salter) the overall prize on countback. The regatta’s only run-away leader was Grant Gordon’s J/97 Fever. She finished 16 points ahead of Robert Baker’s X-332 Brightwork, despite losing today’s final race to Alistair Evans’ immaculate Swan 37 Alvine XV winner of the Prix d’Elegance (as chosen by the ladies on the committee boat).